Lemon Balm is used most often as a medicinal herbal tea. It is also used in herbal and medicinal body care products. 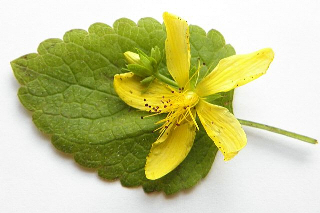 Sometimes it is used with other herbs such as St. John's Wort to create a stronger healing salve. Lemon Balm can also be used in an extract or tincture form. Lemon Balm has been used medicinally since the Middle Ages. It is has been used to relieve anxiety, stress and tension since that time and is still used today for those same illnesses. Lemon Balm helps heal naturally. For anxiety Lemon Balm is either given in tea or tincture. A tincture is a concentrated herbal medicine that is made with alcohol. The alcohol draws in the medicinal properties of the lemon balm as it is being made, and is a good way to take herbal medicine. You can easily dissipate the alcohol by letting it sit in warm water for a few minutes. This works well for people who have a sensitivity to alcohol, or don't want to use products with alcohol in them. If a tincture does not suit you, you can certainly use lemon balm as a tea. The usual dosage for a cup of herbal tea is 1 tablespoon per one cup (coffee cup) of water. Pour hot water over the herb in the cup. Cover with plate to allow the essential oils of the lemon balm to stay in the cup. Strain after 10-15 minutes. Sit back, drink, and enjoy. It is best to take 3-4 cups per day for 2 weeks to allow the lemon balm to take effect. In studies, lemon balm has been shown to have polyphenols. The polyphenols give lemon balm fantastic antiviral actions. In particular, they help to combat and heal cold sores due to the herpes simples virus (HSV). Applied to the affected area, lemon balm helps heal cold the sores in about 3-5 days. It also helps double the time between outbreaks. 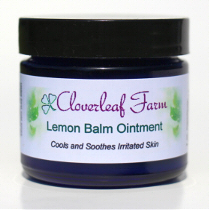 Lemon balm that is used on herpes cold sores is usually found in either an oil or an ointment. The leaves of the plant are steeped in a carrier oil (such as almond, apricot, or olive) for 4-6 weeks. The oil absorbs the medicinal actions of the lemon balm. It is then strained and either used as lemon balm oil or ointment. It is a popular herbal ointment for herpes. Lemon balm is also useful on chicken pox and shingles. Both chicken pox and shingles are the same virus as herpes. Used topically, lemon balm will help heal the sores of chicken pox and shingles much quicker than on their own. Due to its antispasmodic and relaxant actions lemon balm can come in quite handy when a flu hits with muscle aches and pains. It will help relax the body, and the antispasmodic action will help with any muscular spasms. Lemon balm increases sweating, and could help in the case of a fever. By making the body sweat, the toxins are driven out of the body through the pores. It can be used at the first sign of flu for best results. Lemon balm essential oil is very popular in aromatherapy and body care products. It has a calming and soothing slight lemony scent. Caution: Lemon balm should be avoided by those on thyroid medication as it is believed that the herb inhibits the absorption of this medicine. Contact Cloverleaf Farm for an alternative.